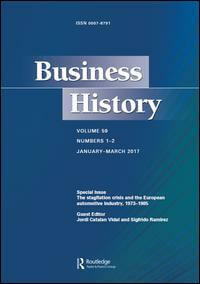 The article addresses the domestic impact of the freezing of the Greek association with the European Economic Community (EEC) on business–government relations during the colonels’ dictatorship in Greece (1967–1974). Focusing on the Federation of Greek Industries (SEV), the author argues that in the face of the Europeanisation of Greek industry, Greek business embarked upon a strategy prioritising liberalisation as a means towards rapprochement with the EEC. But this strategy was not part of a pro-democracy agenda. On the contrary, seeking a viable political regime and future accession to the EEC, SEV supported an abortive authoritarian transition to electoral politics in 1973.